Supported by Trimatiz patent -pending technology, the LD driver board has two features; pulse-width shorter than 12 ns and large current up to 70 A. 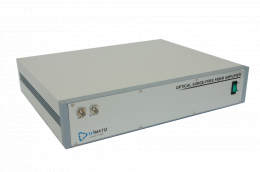 The bench top AGC(Automatic Gain Control) and ALC(Automatic Level Control) fiber amplifiers offer optical surge-free performances and are suitable for optical networking techniques such as optical packet switching or optical burst switching. 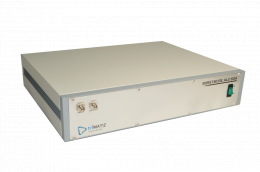 This module is a loss budget extension bi-directional SOA-type optical amplifier for PON systems. 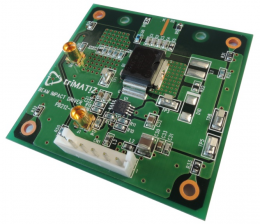 The high performance multi-channel scaler board is ideal for short-range LIDAR systems due to its high repetition frequency, high sensitivity and high resolution time characteristics. 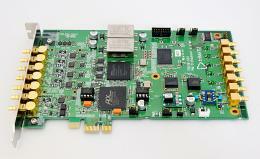 The board with multi-input channels up to 12 can also be applied to long-range LIDAR systems.